Gerald Ratner is best known as the former millionaire chief executive of the major British jewellery chain Ratners Jewellery, when he achieved notoriety after making a speech which caused the company's bankruptcy. 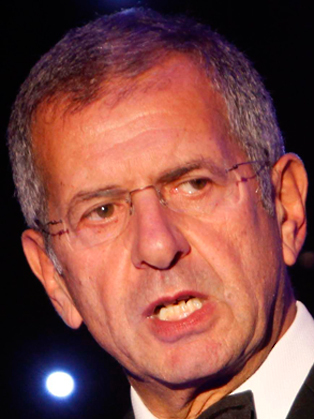 Gerald Ratner based his philosophy of business on his experiences as a boy in Petticoat Lane Market. He observed that "the people who shouted the loudest and appeared to give the best offers sold the most". On this basis he built up an extremely successful chain of jewellers during the 1980s, Ratners Jewellery, of which he was chief executive. The shops shocked the formerly staid jewellery industry by displaying fluorescent orange posters advertising cut price bargains, and by offering low price ranges. Gerald Ratner took over the family jewellery chain in the mid 80s, becoming one of Britain's best known businessmen. He transformed it from 130 stores with sales of £13m to a public company with 2,500 stores and sales of over £1.2bn. By 1990, Ratner's was the world's largest jewellery retailer with profits in excess of £120m. Following a widely reported gaffe in which he compared his products to M&S prawn sandwiches, Gerald was forced to sell the business. Reduced to virtually nothing and shunned by banks and prospective employers, he eventually picked himself up and clawed his way back. The internet jewellery business is now the largest in the sector, perhaps presaging a return to the high street. Subsequently Ratner has set up new, much smaller businesses including a health club and an on-line jewellery store collaboration called Gerald Online. After turning around his fortunes, Gerald talks with typical candour and a great deal of humour about the rollercoaster journey. He even raises a smile when he produces The Sun's list of the '50 biggest mistakes of all time' - in which his is ranked top! "A fascinating display of resilience, self-deprecating humour and lessons in 'what not to do'. Gerald surpassed all our expectations." "Gerald was excellent. We have no hesitation in recommending him."